With Halloween right around the corner I think it's time for us to start planning what we will dress up as! If you know anything about me then you know Halloween is my favorite time of the year. 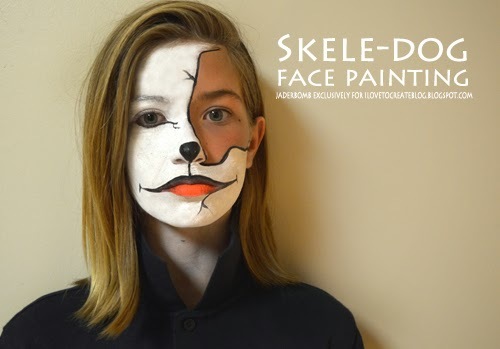 I think kids love this holiday the most because they can transform into any character they have always wanted to be and today I am showing you a product than can help make that happen. When you are turning yourself into a character you can't forget about the face! 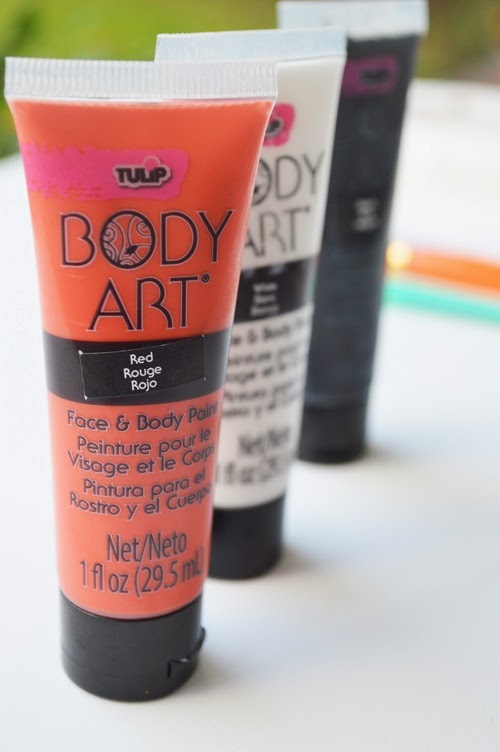 This Tulip Body Art is the most amazing product for face and body painting. 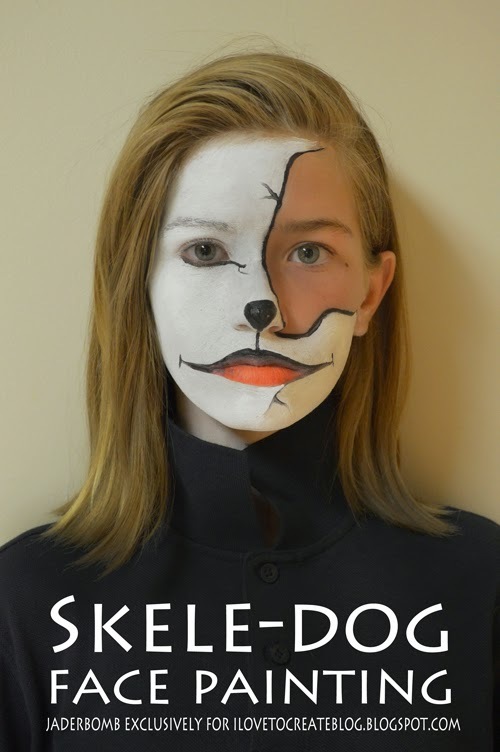 Ready to see how I created my Skele-Dog face, let's go! Come check out all the colors you can purchase here! For this tutorial I am using Red, White and Black. 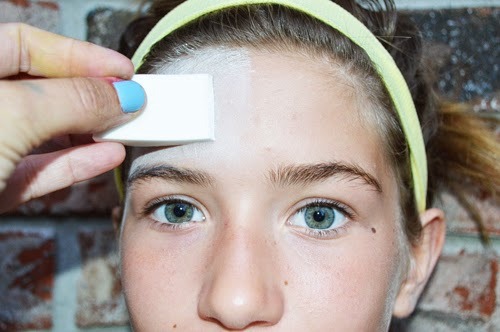 Step ONE: Start with a clean face and pull all hair away from the face. 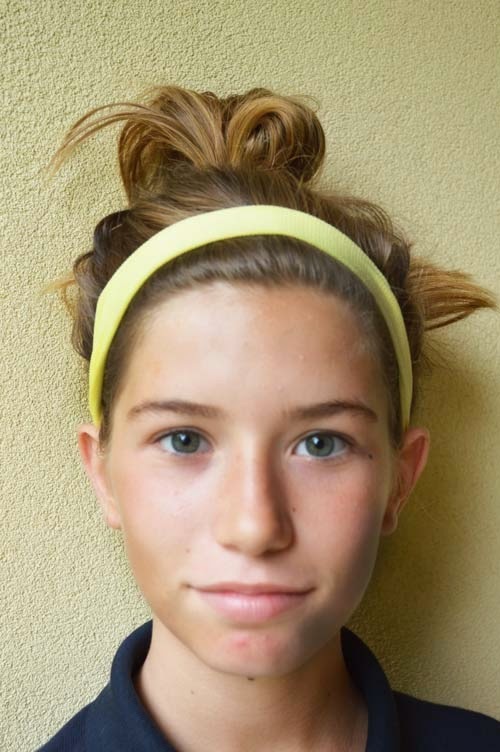 I like using a band around the forehead to prevent hair from falling in the face. 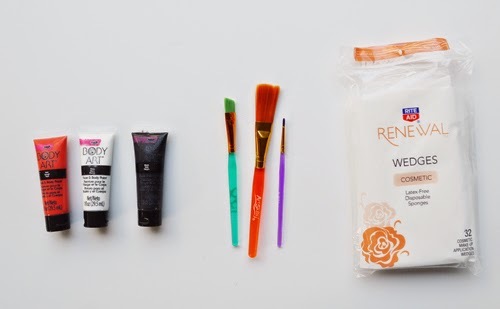 Step TWO: Grab a cosmetic wedge and apply your first coat of white body art paint. Keep in mind the first layer will be light. Let it dry completely before adding a second coat. I ended up adding about 6 coats over the face to get a good opaque white. 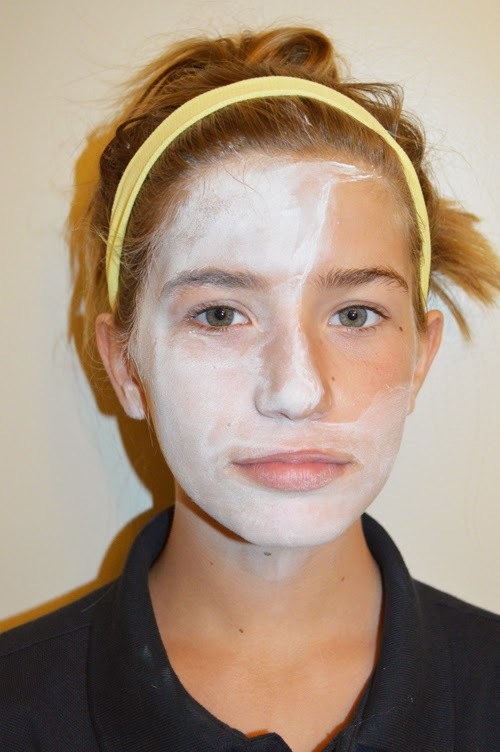 This is what your face will start to look like after the first coat. Once you are finished with your main coat of white you can start outlining with your black paint. I used a brush to do this. Remember the first coat is light so add two or three. I added a few "cracks" around the face but that is up to you. For the mouth I painted the top lip with black paint and extended it out of the sides of the mouth then I painted the bottom lip with the red paint to add that "dog" look. If you mess up along the way wet a Q-tip and erase it. It's pretty simple. On another note this paint doesn't really feel heavy after a few coats on the face. Loving your page. 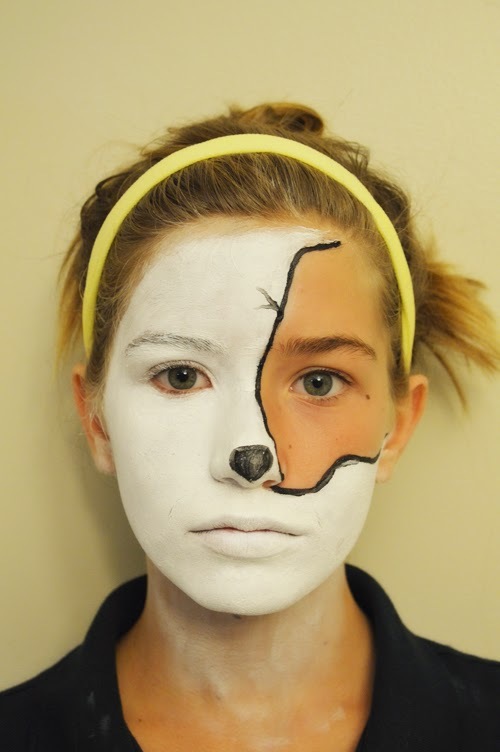 Found it while searching for Halloween makeup ideas and related stuffs. I actually don't have that creativity but it's fun so collect such photos and tutorials on my Pinterest board collection. Please allow me to pin some of your photos, pleaseeeeeeeee! thanks much and God bless!